CaeserStone has introduced two intriguing new finishes. 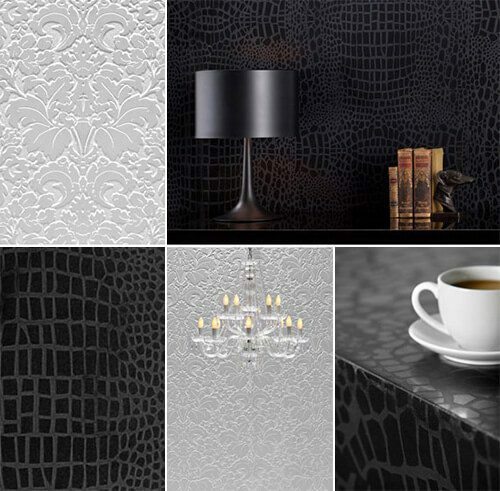 In a definite departure from their flat polished and honed surfaces they introduce “CROCODILE” and “LACE” shown in the attached photos. These very tactile surfaces are specifically designed to be book matched for a continuous pattern as large as you wish the pattern to be. They are available in ¾” thickness for counter surface and thinner materials for wall applications. Stop in to see these very interesting new samples at our Design Center.